Aircraft are a high-tech twist on the first military use of balloons in the Civil War to provide human observers with an elevated view of the battlefield. Army officials kicked off a procurement Thursday for an advanced airship packed with radar and communications gear, saying they wanted to have the craft in operation over Afghanistan 18 months after contract award. Under the procurement, the Army's Space and Missile Defense Command in Huntsville, Ala., seeks to acquire an airship, called the Long Endurance Multi-Intelligence Vehicle, that can stay aloft for three weeks at an altitude of 20,000 feet and carry a payload of 2,500 pounds. The Army said it wants a vehicle that can operate either manned or unmanned. John Cummings, a spokesman Space and Missile Defense Command, said the craft would carry multiple sensors, including radars, optical and infrared sensors, and a communications package that could serve as a radio relay for ground forces. 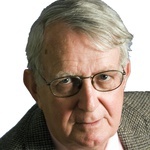 Gordon Taylor, marketing director for Hybrid Air Vehicles Ltd. in Shortstown, England, said his company intends to bid on the Army project in partnership with other companies he declined to identify. Taylor said the company's SkyCat airships have only a passing resemblance to the familiar blimps seen at sporting events or the kind last operated by the Navy in 1961. 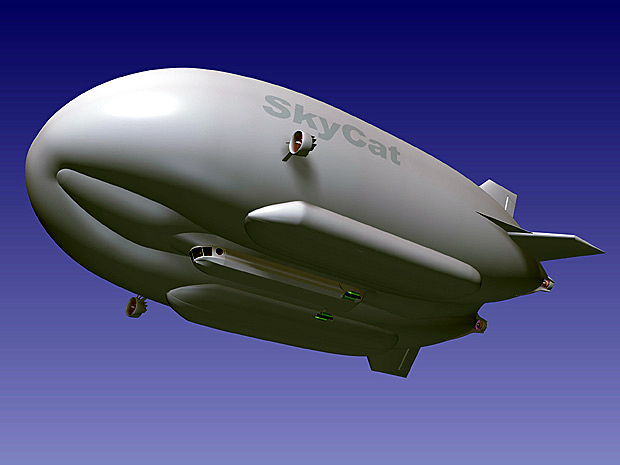 Unlike those cigar-shaped blimps, Taylor said the SkyCat uses advanced technology , with the lift provided by a helium envelope that has an aerodynamic shape. The SkyCat also dwarfs traditional blimps in size: The smallest airship Hybrid Air Vehicles plans is 266 feet long and the largest is 607 feet, compared to 192 feet for the Goodyear blimp and 403 feet for the ZPG-3, the largest and last blimp the Navy operated. The Skunk Works division of Lockheed Martin Corp., which demonstrated a 125-foot long hybrid airship similar in design to the SkyCat in 2006, also is expected to bid on the Army procurement. A Lockheed spokeswoman did not respond to calls and e-mails for comment. The Army airship procurement takes up in many ways where the Navy left off with its blimp fleet, heavily used during and after World War II. The ZPG-3 served as a sensor platform, housing a radar system used to detect Soviet bombers. Rick Zitarosa, a historian with the Navy Lakehurst Historical Society in Lakehurst, N.J., said the Army's airship project is a high-tech twist on the first military use of balloons in the Civil War, which provided human observers with an elevated view of the battlefield. Using an airship in Afghanistan, Zitarosa said, would provide the Army with the kind of long-term surveillance of a battlefield it could get with a satellite. But the cost of the airship would be far lower. In the late 1980s, the Navy tried to revive the blimp as a radar platform able to peer over the horizon to detect sea-skimming missiles. Taylor said Airship Industries, a predecessor company to Hybrid Air Vehicles, delivered a 220-foot long airship to the Navy in the early 1990s. The Army plans to spend $76 million on its airship program this fiscal year and has designed the procurement to attract bids from companies that traditionally do not do business with the Defense Department. NEXT STORY: More Incentives for Teleworkers?